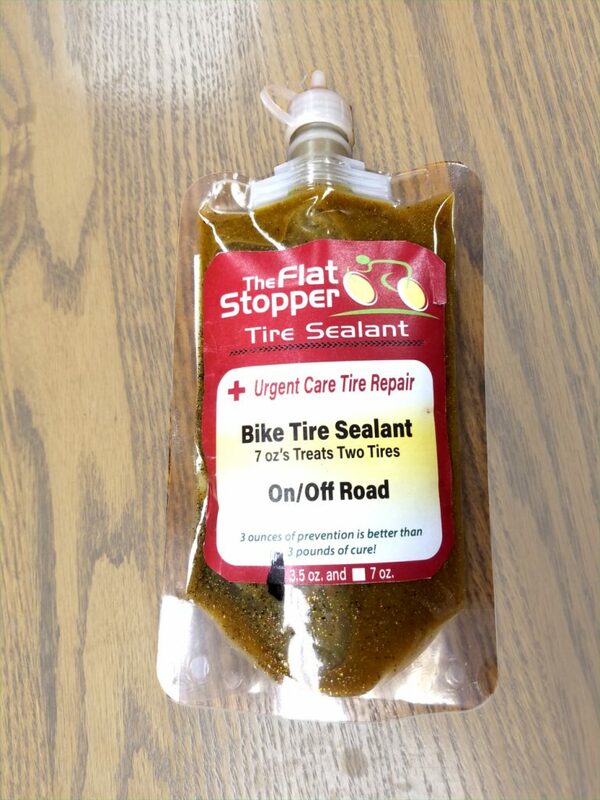 “The Flat Stopper” could be your future tire sealant! I first saw the this tire sealant at Interbike. “The Flat Stopper” booth had a tubeless wheel affixed to a stand that had a jagged spike that would puncture the tire if you pressed a lever. I have seen this type of fixture before and it always works just about the same. Puncture the tire, watch sealant squeak out, then in a few seconds it dries. What made the Flat Stopper different, there was no delay, no squeak, only an immediate tire repair. Based on this display, I needed to try this sealant myself. 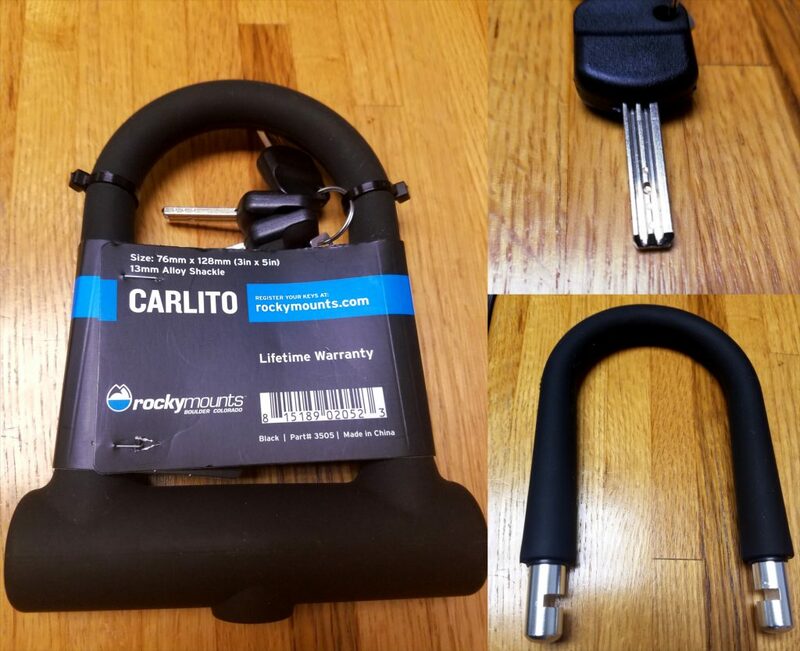 The Flat Stopper comes in a few different quantities. The most consumer friendly are the 3.5oz and 7oz flask. For shops, The Flat Stopper has just released a 3-litre box. The Solution is red in color and has a low enough viscosity where injecting it through the valve is easy. Surprisingly, I learned that the sealant is functional down to -20 degrees Fahrenheit and will not dry out like many latex based sealants. In other words, “The Flat Stopper” seems to be the product that could make tubeless perfect for the masses. Flat Stopper in a 3.5oz package. 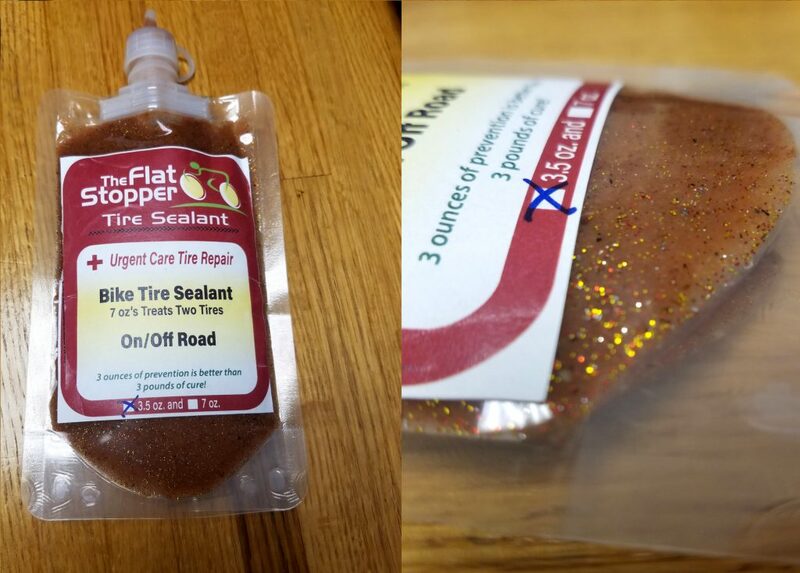 My first impression using this sealant in a tubelesss tire was how it seemed to be thicker than the latex solutions I had used in the past. Even though it has a consistency similar to gel, it flows surprisingly easily around the tire. When I aired up the tire I was surprised to see nothing happening! By that I mean, I didn’t see any sealant weeping out of the tire’s sidewall or where it meets the rim. This is a stark contrast to latex sealants who frequently leak out of a new tire until everything seals up. Where flat stopper overachieves is in how it seals. Most tire sealants work through a process of adhesion. As an example, an adhesive sealant is suspended in a liquid carrier. That carrier evaporates quickly is the sealant exposed to air (like in the case of a puncture) and the remaining latex adhesive seals the hole. The Flat Stopper works through a process of compaction. It has particles suspended in a liquid carrier. When the tire is punctured, the particles compact in the hole and seal it immediately. Considering the liquid doesn’t need to dry for The Flat Stopper to work, the sealant last longer in your tire. I have to say, I am really impressed with this sealant. It was installed it on our Demo Marin B17 about 4 months ago. 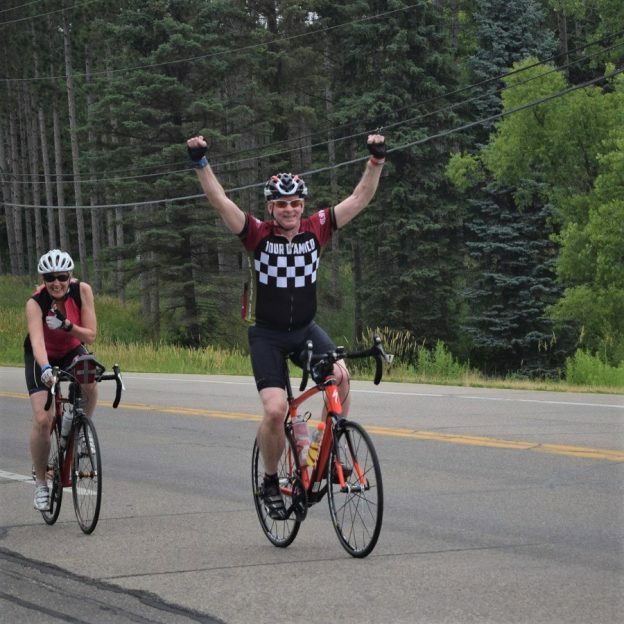 Additionally, I recently checked on that bike to find the tires are nearly completely full of air. This is amazing news considering it was hanging in my garage through our winter freeze. The sealant I installed in a test wheel seals any and all punctures I put (purposely) in the tire. Considering the sealant has been holding well for the past four months, I am excited to see if it actually does ever dry out. If I don’t see any drying In the net few months, that will be impressive. Another thing I like about this sealant is the ecological responsibility the company has shown. The consumer packaging is small, recyclable and reusable. They also produce a large shop volume that is shipped dry, and mixed by the user. This lowers the carbon footprint in shipping and cuts down on unnecessary packaging. 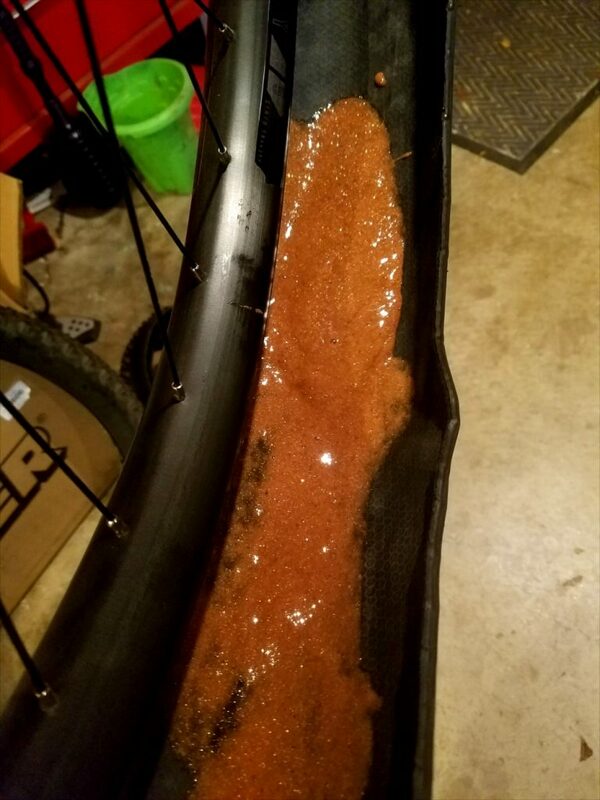 This entry was posted in News and tagged 2bliss, bike tire sealant, bike tire tubeless, finish line, flat stopper, how to setup tubeless, orange seal, Orange Seals, slime, stans, stans no tubes, Stans Notubes, The Flat Stopper, tire sealant, TRS, tube less tire, tube less tires, tubeless tire, tubeless tires, tubless instalation, WTB TRS on March 26, 2018 by John Brown.